Once again, Great Lent approaches. I think I love how Pascha moves around, which means that Great Lent has to move around. Some years, it has come early and this year, of course, it’s late. It’s like Spring — sometimes it comes early, and sometimes it comes late. Great Lent begins on March 14 this time, with Pascha falling all the way back to May 1st. Have a late Lent makes me yearn for it a little. I’m feeling like I’ve been lazy and undisciplined, like I really need a good long fast to get back on track. With all this extra time before Lent begins, I’ve had an opportunity to really plan ahead. And it doesn’t hurt that the Greek Orthodox Archdiocese’s Department of Family Ministry invited me to join Fr. Evan Armatas in a webinar entitled, “Preparing your Family for Great Lent”. So I’m thinking about that right now — how exactly do you prepare your family for Great Lent? And there’s another good question here — how can a parish help? How can the Sunday School and the youth ministries support families as they journey through Great Lent? What are we doing to help? 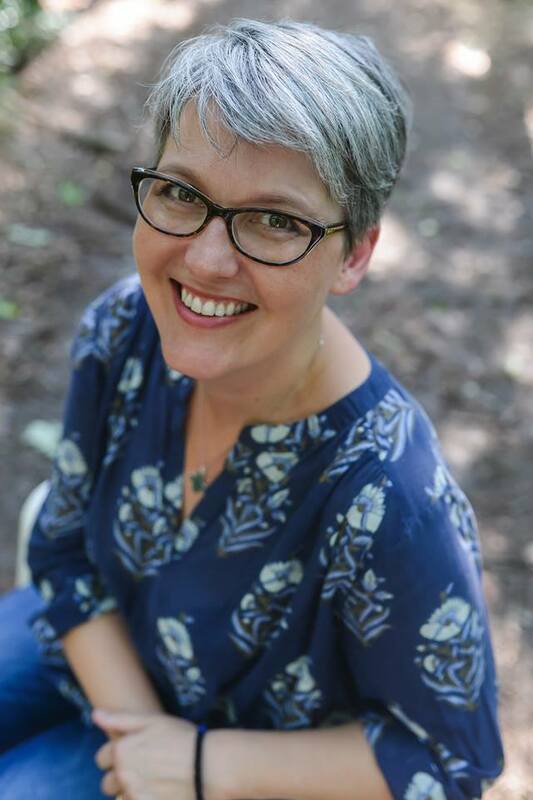 So I want to share with you a little bit about what my family does, and what we’re planning in our parish. I’m increasingly convinced that youth ministry workers need to concern themselves with helping parents. 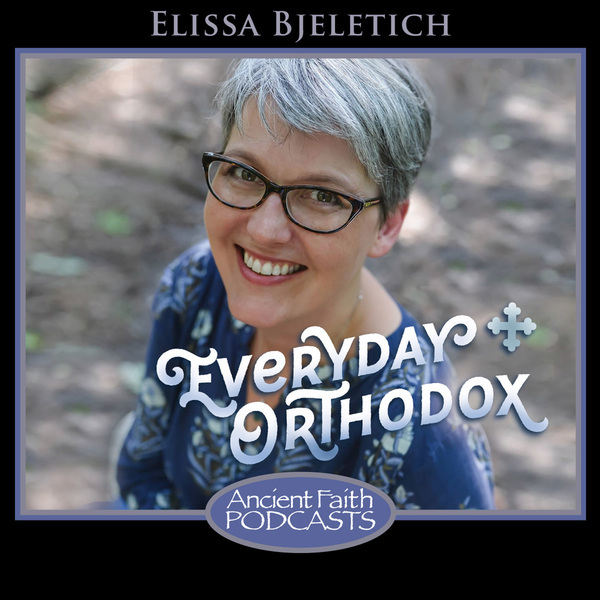 The truth is, Orthodoxy is a lived faith. It’s a way of life, not a collection of information. It’s not something that can be taught intellectually in 45 minutes of Sunday School or cemented at a really great teen camp. 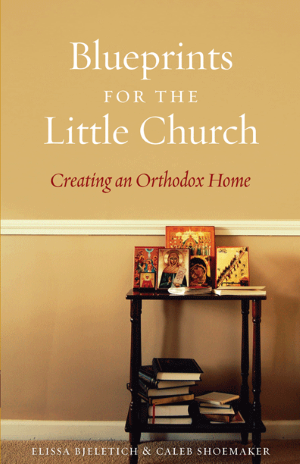 The truth is that the most effective way to raise a child in the faith is to create an Orthodox home. We’ll be talking more about that in a later podcast. My friend, Caleb Shoemaker, and I have a book coming out in May about all the nuts and bolts and practical aspects of creating a truly Orthodox family life. I’m looking forward to sharing that, and to seeing this book of ours finally come to life. Parishes and youth ministry programs can help with this. Rather than talk only to the kids, we can create events that involve the parents and which equip them to bring the Church more intensely into the home, providing them with the means and ideas necessary to establish family prayer times and to integrate the liturgical calendar into their lives, to integrate all apsects of the Church and yes — to plan for a meaningful Great Lent. There are a lot of parents who bring their children to church and to youth activities, but who may not be thinking of the faith as a really central, integrated part of their daily lives. In our parish, we also see a lot of people who might have fallen away from the church when they were young adults, but who are now having babies and want to raise them in the faith. They show up with toddlers in arms, and they’re trying to figure out what it means to raise their children in the Church. Youth ministry should be engaging them! This year, we are thinking that on Forgiveness Sunday, which is followed by the first day of Great Lent, known as Clean Monday, we’ll gather our parish together for a Family Event. It’s not just for the preschool, not just for the elementary kids, not just for the teens — but truly, an event for all of them, and most especially, for their parents. So how are we going to structure this? Well, in our household, we do hold a little planning session before Lent. I have this GREAT LENT Cross Planning page that I print up. It has a cross on it, which divides the paper into four sections: Prayer, Fasting, Study and Alsgiving. I sit down with the kids (sometimes in a group and sometimes just as I can catch them) and I ask them what they’re thinking they ought to do for Great Lent, to prepare themselves for Pascha. They each get their own sheet, and they write or draw some item in each quadrant of the page. I like having the page divided nicely into four sections because that really emphasizes the idea that a good fast is balanced: it’s not only about food, but in fact it’s pretty balanced between what we take into ourselves, with the food and the study, and what we’re putting out, with the almsgiving and the prayers. I like the idea that they’ll have this image of four parts of the fast in their minds whenever they think about Great Lent. I’m thinking that I’ll bring a stack of those the Family Night, and that we can build this around the concept of the four areas: Prayer, Fasting, Almsgiving and Study. This year, the craft portion will cover Almsgiving. Kids don’t generally have a lot of money, so their alms are often more humble — and one might argue, more valuable. Charity can mean sitting beside a lonely person, or helping someone up when they fall down. It might mean giving your sister a hug or helping her clear her plate. Tiny charitable acts, especially when they become part of our routine, part of our instinct, do much to transform the heart. So how do we build that habit? We declare that for 40 days, we’re going to do at least one charitable act per day. For younger and elementary-aged kids, it helps to have a visible, tangible item that to mark the 40 days of Great Lent, so we thought we’d develop a craft that will both count down the days and remind them to do a charitable act every day. It could look like a behavior chart, and they could add a sticker or draw a picture every day when they’ve done their Lenten act. It could be a 40-page journal where they enter their deed every day. It could be a calendar, or a treasure chest or a piggy bank or just a wonderful box decorated with a golden cross. “And at midnight a cry was heard: ‘Behold, the bridegroom is coming; go out to meet him!’ Then all those virgins arose and trimmed their lamps. And the foolish said to the wise, ‘Give us some of your oil, for our lamps are going out.’ But the wise answered, saying, ‘ No, lest there should not be enough for us and you; but go rather to those who sell, and buy for yourselves.’ And while they went to buy, the bridegroom came, and those who were ready went in with him to the wedding; and the door was shut. All of these virgins await the Bridegroom, and they don’t know when He’ll come, but they do know that they are going to need oil in their lamps to go with Him — but the five foolish ones did not bring any oil. When the Bridegroom — our Lord — comes for them, they don’t have oil. They beg the wise ones for oil, but they cannot share their oil. I have to admit, I used to wonder why those nice, wise Virgins couldn’t share some oil. Could they not share lamps? Why is everyone so mean in this parable? But the thing is, that oil is love and mercy. It’s the mercy of almsgiving, the love of charitable action. When we show love and mercy to others, we build up our supply of oil. I cannot just give you this oil; it’s like a muscle, which you build up with excercise. When you behave lovingly and mercifully, the oil develops within you. When the Lord comes, those who have oil, who have developed hearts ripe with love and mercy — the light just shines forth from the lamps of their hearts and they go with the Lord. But the ones who have not shown mercy and have not behaved lovingly, they have never developed this part of their hearts, and they can’t go with Him. Their hearts are dark and the light will not shine in them. The wise ones cannot give the others a merciful heart. We have to work on those ourselves, and we have to do that work before time runs out. That’s why we have periods like Great Lent — these are the times when we remind ourselves to redouble our efforts to develop hearts that can shine with the light of Christ. So for Great Lent this year, what if the kids made oil lamps, and every day by doing some act of mercy, some form of loving charity, they added some oil to it? By the time we read that parable at the Bridegroom service, they’ll have full oil lamps — and they’ll understand what that parable really means. They’ll know why it is that they can’t just hand someone a lamp full of oil. It only works if you’ve filled it up slowly over time, one loving, merciful act at a time. Instead, you could devise a paper lamp, and they could tear up yellow construction paper into little droplets, and they could add a drop of oil every day. If you’re having trouble picturing the kind of oil lamps that were used in Christ’s time, go to the Legacy Icons site and search ‘Biblical Oil Lamp’. They’re simple clay lamps, and they may or may not have decorations. These are the kinds of lamps that kids could make — they could make real ones out of clay or fake ones out of construction paper or cardstock. So that is the craft portion. All of the kids should be going home with their lamp (or treasure chest or calendar) so that they are able to track themselves as they accomplish one charitable act per day. Meanwhile, the teens and the parents have been talking to them about the story behind that lamp, so there’s conversation flowing about parables and charitable works and Great Lent already. Then we’ll break for a little snack. For the second portion, we’ll divide up again. While the parents of the youngest kids should stay with their toddlers and little ones, the other parents can gather into a group. We’ll also have groups for younger elementary, older elementary, middle school and high school. Naturally, the more kids we have, the more divisions we’ll make, so that we are working with small groups who can talk comfortably amongst themselves. We’ve already created our lamps, but the kids can perhaps draw a lamp or write about them in their books. For the teens and adults, this is their opportunity to discuss and develop some ideas for what kinds of charity they’ll find opportunity to do in the course of their day. Next, we’ll make plans for increasing our prayer lives. In the oldest groups, we can talk about what prayers we are already doing and brainstorm with another about the struggles we encounter and possible strategies for overcoming them. 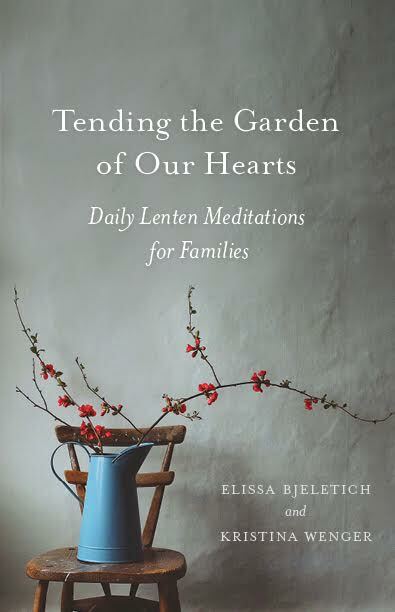 We’ll hand out copies of the Prayer of St. Ephraim, and encourage everyone to make that their Lenten prayer, to add this to their family’s evening prayers and to whatever prayer rule they have. We’ll discuss the words of the prayer, asking everyone to give examples of where they can see the spirit of laziness or gluttony in their lives today. What would it look like to exorcise that from our hearts? 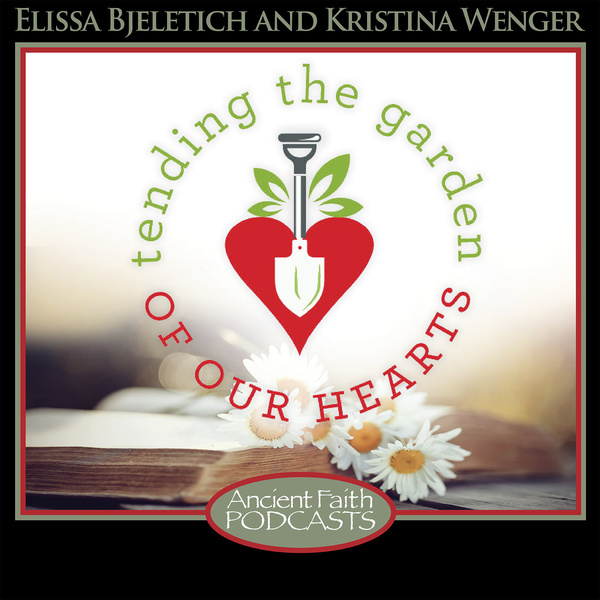 Importantly, we’ll consider the virtues with which we are replacing those bad spirits, for we always remember that we aren’t just trying to clean house, to remove the bad things, but we are hoping to build a heart in which Christ abides. We empty ourselves out only so that we can invite Christ in. Then we’ll talk about Study. For the youngest kids, maybe that means drawing a picture of the Bible in their books and saying that they’ll ask to hear more Bible stories at bedtime. But with the parents and the older kids, we’ll talk about it: once we’ve cleared away some of our distractions — maybe we decide to watch less tv or to reduce the video games — what will we do instead? Perhaps we’ll commit ourselves to read the Daily Scripture readings of the Church, which are easily received in one’s email inbox every day. They can be easily read aloud at the dinner table or at prayer time. For families with younger children, we’ll talk about reading Bible Stories and religious picture books with lives of the saints and the like. We’ll all brainstorm together how to fill ourselves with nutritious spiritual food. Maybe at the parents’ table we can agree to share some of our books with one another? We might encourage the parents and the teens to pick a gospel and read it this Lent. They might even read it together. Who knows what we could start? Maybe an informal Bible Study. By now, we’ve covered Almsgiving, Prayer and Study. The final topic — and I saved it for last on purpose — is Fasting. So often we think only of food when we think of Great Lent. This time, maybe we’ll talk about it last, and we’ll work to frame it as a discussion of a really useful tool which helps us to grow closer to God. When we’re hungry, we pray better, and with better focus — and because our generous Lord responds to our good-hearted efforts, we can grow spiritually by observing the fast, so long as we replace that meat and dairy with prayer and love. We’ll talk in all the groups about age-appropriate ways to fast. Some kids are too young to take on the full fast, and we can help them and their parents figure out how to observe the fast in that situation. Maybe it means giving up ice cream? Maybe they’ll eat a Lenten dinner with the family, but supplement their lunches with meat and cheese. We can come together in our small groups with ideas and suggestions, and stories of what has worked or not worked in our homes. Older kids can discuss how they fast at school or at friends’ houses. Discussion leaders can help facilitate conversations that respect fasting as a valuable spiritual tool, and help guide the participants. Families can get advice from one another on food allergies and special diets, and maybe even share some recipes. If you’d rather not do booklets, each group could produce a poster. Then at the end, they could present their posters and tell the whole group what they learned — after a nice break, with snacks and stretching, because people get tired of listening so much. Finally, because our event is on Forgiveness Sunday, we’ll finish by talking about how we begin to prepare our hearts for Christ is by realizing that we must forgive everyone, and we must beg their forgiveness. We’ll ask Father to explain a bit about how Forgiveness Vespers works and what it means, and then we’ll head out and we’ll worship together, beginning Lent as a family. Whether you’re trying to help the whole parish or just guiding your own family, it makes sense to sit down with your kids and think about what we can reasonably plan to do in these forty days to increase our Almsgiving, our Prayers, our Study and our Fasting. It’s not one-size-fits-all and the efforts are different for each of us. But if we can help each other offer up an earnest and heartfelt effort, our Lord will see it and He’ll reward it. I like your comment about the oil becoming a part of us, like building up muscles. It’s a great way to teach little ones, indeed bigger ones too, of the need for living a good Christian life, of practicing the pillars of Lent, which are fasting, prayer and almsgving/charity. In Portuguese the word for charity is “caridade,” which is also a word for love. Getting back to the oil, when in Israel our guide, an Arab Christian, informed us that the similar expression to our “the porch light is on, but no one’s at home”, or “the elevator doesn’t go to the top floor” is to point to one’s head as you speak of the other person and say, “no olive oil.” In the Middle East, olive oil is a staple. It is used for cooking and illumination and indeed in Orthodox and some other churches is used in lamps before Icons or statues and in Catholic churches, before the Blessed Sacrament. Indeed having olive oil, is in fact, to build up wisdom, to be enlightened, to be prepared for any and every event upon which our faith life depends. Thank you, Fr. Walt! The meaning of “oil” really opened up this parable for me, and I love the idea that people might “have no olive oil” in the Middle East! I once heard Fr. Meletios Webber speak of serving as a priest in Greece, Holland, France and America. He noted that in Greece, olive oil is delivered to the house by the bucket, and its very abundance is amazing. The Greek word for olive oil (ελαιόλαδο) sounds a lot like the word for mercy (ελέησον) as in “Kyrie, eleison!” so the two concepts are naturally conflated in the imagination. (Similarly, in English, we see connection between the Son and the sun, though there’s not a real etymological connection.) He noted that it was so hard to go to Amsterdam and Paris, where they had no word for “mercy” and were left to settle for “pity”. That connection between the wonderful olive oil (healing, illuminating and delicious) and our Lord’s mercy is such a joy. I love the idea that olive oil is likened to wisdom. It’s sad how our distance from Biblical language and lifestyle makes such understanding harder to come by (olive oil as wisdom and mercy, the real difference between goats and sheep, etc.) May our Lord continue to open the Scriptures to us!